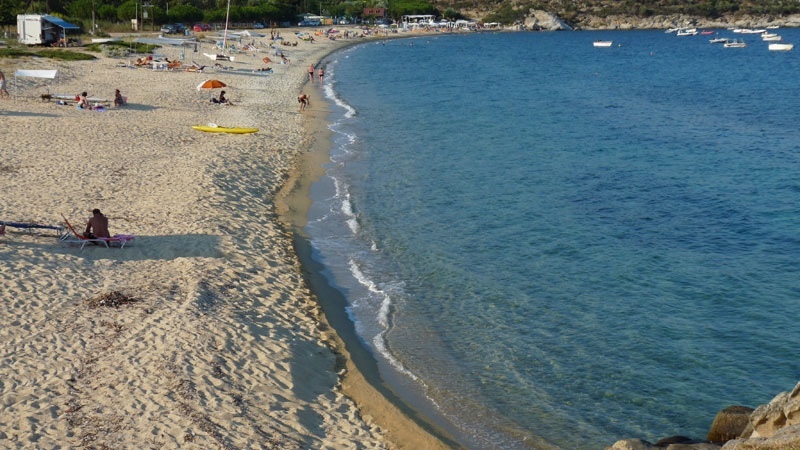 Valti beach is in a bay just north of Sykia beach. 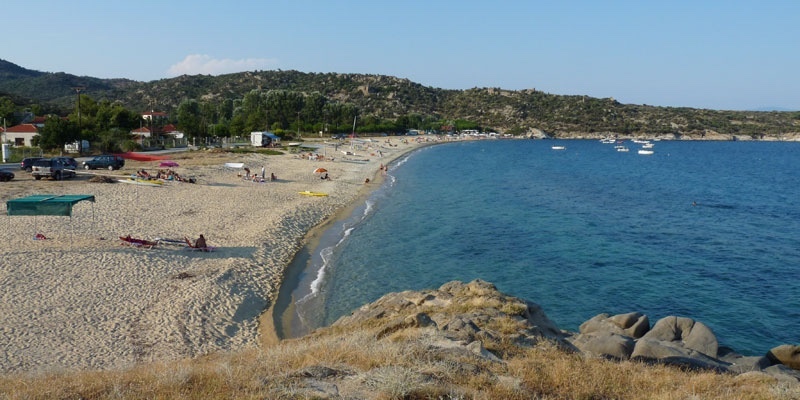 This medium sized beach is in the camping zone of Sithonia and is a big hit with campers. From this beach you get a good side view of Mount Athos, but the beach itself faces more south east to give you good sun during the day. The camping on Valti beach organizes the beach with very spaced sun-beds and umbrellas for privacy and there is a trendy beach bar that serves drinks and food. The camping also has apartments and a swimming pool with spa facilities located within a beautiful sea view garden. The beach has very soft sand that the children will enjoy to play in. 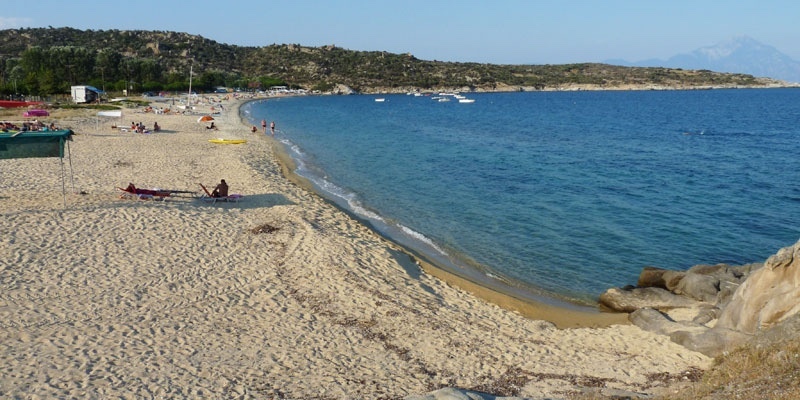 The water is shallow with a sand sea-bottom and because of the protected bay it is calmer than Sykia beach. Well organized but not too much. No crowds. You can get drinks and food. Good place to swim. Right on the road but it’s not busy. From the Sykia beach drive north, it is about one kilometer from the Sykia beach on the new cobbled pavement. Popular beach for campers and even just to spend a day. Calmer than Sykia beach.